Not too long ago, I hated mushrooms. Ok…maybe it was kind of long ago…a little over half of my lifetime ago!!! Back when I was in middle school, I despised mushrooms. They seemed so gross and dirty-eek! I never wanted to even try them. That was until one day when my Grandma and Grandpa D’Angelo came over to watch us one night. Just in case you couldn’t tell by the name, this side of the familia is almost 100% Italian. So when we went out for dinner that particular night, it was only natural for us to eat at an Italian restaurant. I forget what I ordered, but my Grandpa ordered Chicken Marsala. He told me it was one of his favorites and absolutely delicious. Now, given my prejudice against mushrooms you can imagine how I was more than a little skeptical of this claim. But, my Grandfather was a very smart man so I decided to trust him and give this seemingly odd dish a try. And…I was hooked! Mushrooms became one of my new favorite veggies and Chicken Marsala was one of the first recipes I ever learned to cook (thanks, MOM!). Unfortunately, I’ve gotten a little out of my Chicken Marsala cooking habit. But, I was reminded of this yummy dish last week, when my hubby was cleaning out our pantry and came across the bottle of Marsala cooking wine he bought when we lived in Massachusetts. If you’re new to cooking with wine, let me warn you… cooking wine is not the wine of choice for a true chef like myself! It is SUPER high in salt and your recipe just won’t taste the same! I received her cookbook for free from Blogging for Books and wrote a full review HERE, if you’re interested in taking a peek inside. It’s really an AWESOME book! In addition to this recipe, I’ve also tried her Frittata Recipe and you can see that HERE. But, back to the Chicken Marsala! Step One: Preheat your oven to 200 degrees Fahrenheit and season your chicken cutlets with 1/2 tsp salt and a pinch ‘o pepper (I’m trying to bring a little of the Irish side of the family in on the fun!). Step Two: Flour your chicken. Pour your flour into a shallow bowl and shake it to cover your chicken. Shake off any remaining flour and keep it in your bowl. Set the chicken aside. Step Three: Cook your chicken. Heat a large skillet over medium-high heat and add 1/2 tbsp of butter and 1 tsp of olive oil, swirling the pan until the butter has melted. Add your chicken and cook it until it is slightly browned on each side (about 3 mins per side). Then, place your chicken in a baking dish and pop it in the oven to keep it warm. Step Four: Make your Marsala sauce. Add the rest of your butter and olive oil to your skillet. Cook your shallots and garlic together for 2 minutes before adding your mushrooms and another 1/8 tsp of salt and pepper. Continue to cook the mushrooms for another 5 minutes. Sprinkle in the flour left over from step two and stir for 30 seconds before adding your wine, chicken broth, and parsley. Cook for 2 more mins so the sauce thickens. Step Five: Finishing touches! Take your chicken out of the oven and add it back to the skillet. Reduce the heat to low, cover the skillet, and let it simmer for 4-5 mins so it can soak up that yummy Marsala flavor! Step Six: See just how yummy mushrooms can be! 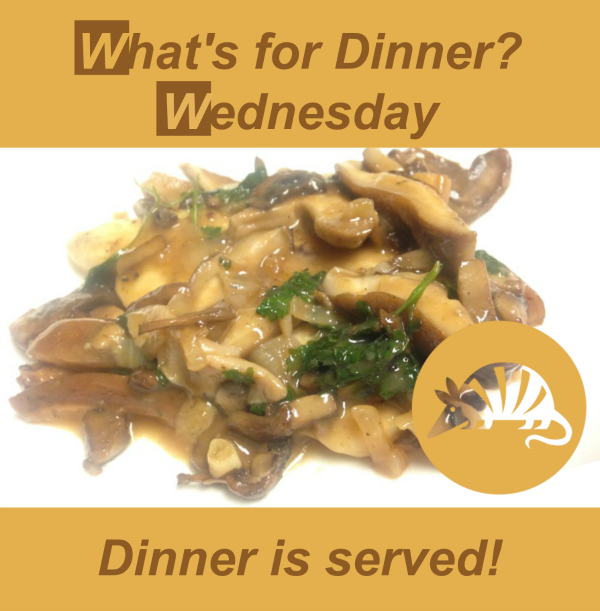 Serve one piece of chicken on each plate topped with 1/4 of your Marsala sauce and mushrooms.